As corporate vertical integration swallows the fishing industry, Lobstermen are experiencing the loss of their livelihood and heritage to sky-rocketing business costs and forced regulation favoring buyers and distributers, but by unionizing, can the Lobstermen of Maine save their way of life? 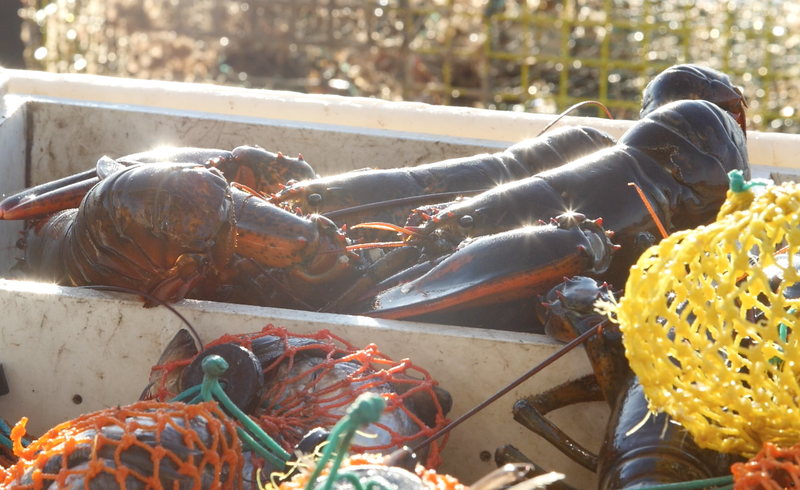 This documentary follows the stories of several independent Lobstermen as they join together with the new Maine Lobstering Union to fight for their homes, heritage and future. The independent Lobstermen has always been a part of the iconic landscape along the small, seaside villages of coastal Maine, and also the backbone of these communities. However, due to increased corporate vertical integration and pricey forced regulations, lobstermen have become a dying breed, and the small seaside communities – some of America’s favorite vacation destinations – are disappearing. The vanishing middle class, and increasing income gap between classes, has become epidemic. Too often are the small independent businessmen overtaken by deep corporate pockets and too seldom is there recourse. However Lobstermen along the Maine coast, renowned for being fiercely competitive have cast aside their differences and joined forces to create a new union in order to save their homes, livelihood and heritage. Through exclusive access to Union organizers, leaders, and lobstermen’s work, communities and homes, this documentary tells their story, showing their way of life and the fight to save it. Thanks for your work and the wonderful profile of Julie Eaton. I’ve had the great pleasure of working with Julie in the very early days of IMLU Local 207. She is a phenomenal person and I’m proud to call her a union sister. Thank you for your comment! Julie is a wonderful, engaging person. It is my pleasure to tell her story. I look forward to meeting and documenting more union members.